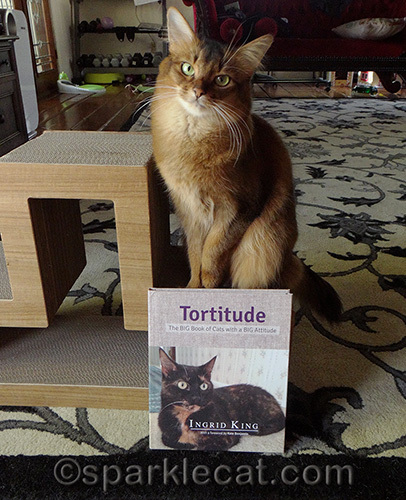 I was all ready to do a review of Tortitude: The BIG Book of Cats with a BIG Attitude by award-winning author and Conscious Cat blogger Ingrid King. But some kitty thought she was more qualified to do it. And you know what? I had to agree with her. So I let her take over. 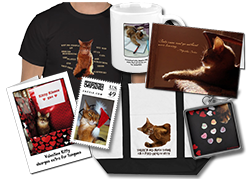 What is “tortitude?” It refers to cats with patches of black, orange, red, tan, and variations thereof, but more than fur hues, it refers to our personalities. Tortitude means that we are the most awesome cats in the world and we make sure you never forget that! It is only logical that there would be a book like this to worship tortoiseshell cats because we rule, literally and figuratively. Veterinarians and scientists say there is no link between our beautiful multi-colored fur and our personalities, but they are lying! They are probably worried that we would take over if we realized how amazing and unique we were. But too bad for them, we torties already know and we are already in charge. Just ask anyone who lives with one or more of us. 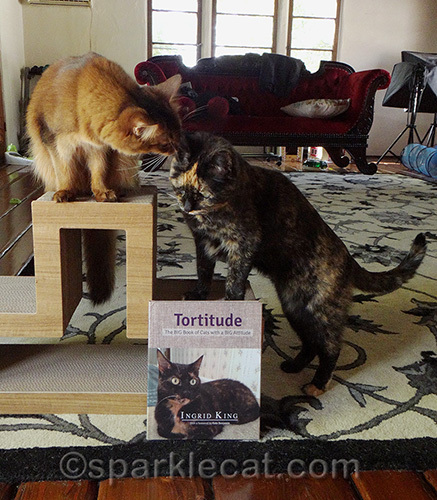 With a blurb from Jackson Galaxy and a Foreword by Hauspanther’s Kate Benjamin, Tortitude comes with an impressive pedigree (as well it should). 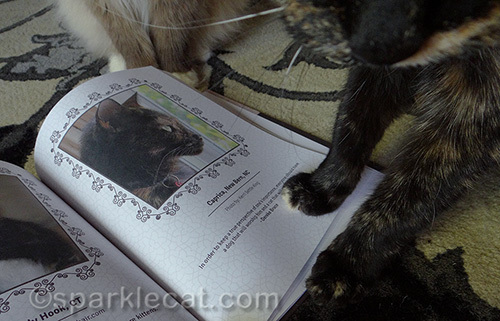 This is a beautiful, hardcover coffee table style book loaded with photos of stunning tortoiseshell cats from all over the world. There are also some facts and folklore about torties, and you should definitely take notes. Even lesser cats would enjoy this book. 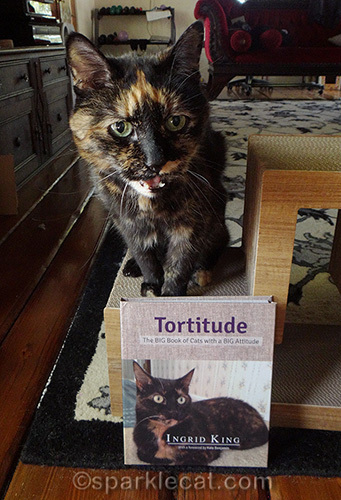 You must buy a copy of Tortitude now! Yes, there is a giveaway below, with one copy going to a lucky reader — and if you live in the U.S., I demand that you enter right this second — but buy a copy anyway because there are humans out there who need to know that we torties should be properly worshipped. 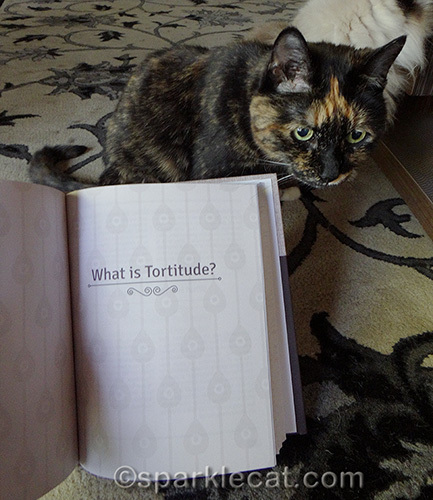 Disclosure: We received a complimentary review copy of Tortitude. Link to book on Amazon is an affiliate link. I’ve never had a tortie, but I have had a torbie–and it was like having two cats in one! I really miss my little girl. She passed at 15. No other kitty has been able to swear at me as well as she did! 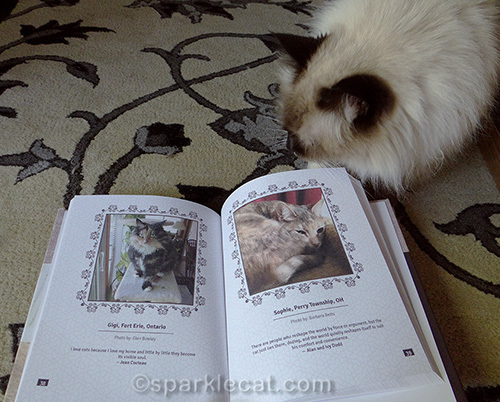 I love my tortie cat and I would love to win this book! Yup..you are right Binga…Our Tortie girl Susie is full of it..Tortitude that is…mol.. 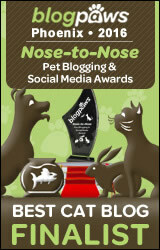 I love Binga’s style of blogging! You got style, Tortie. 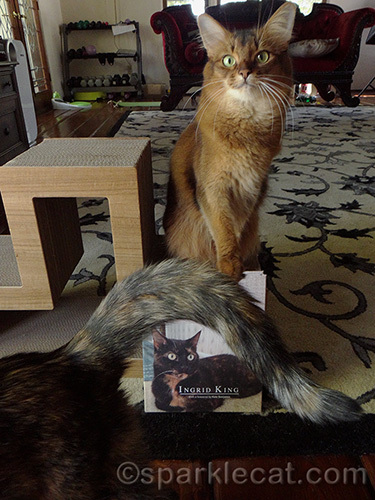 Binga you are the perfect spokeskitty and we feel like we need to buy a copy now MOL! I nagged my Lady until she entered. I am also a tortie, and I know your difficulties at making anyone listen to me! No need to demand, Miss Binga. I will happily enter to win this awesome book. I have a gorgeous tortie! Love her!